A luscious blend of Irish Cream, honey and mellow irish spirits, is what this 17% alcohol (34 proof) containing bottle is telling me. And this seems rather true. The typical coloured irish cream smells like one would expect from a irish cream, but with a sweet hint of honey. Tastewise, it's basicly the same story. It's nice and creamy, and leaves just a slight hint of a alcohol burn on the tongue, and almost no burn down the throat. Besides that, the overall taste is like a mix between very creamy and milky coffee, and a more darker chocolate. With honey in the mix. At first i was afraid the honey would overwhelm the drink, but it seems to be balanced out pretty good. You still get a good honey impact on the overall taste, so if you're not into that, that might be a problem. Overall, nothing spectacular to say, but, nothing bad either. For a price of around €14,- or €15,-, this delivers a rather smooth honey tinted irish cream, and has not much "burn" to it like for example Bailey's. A good competitor, that hints more towards the sweet spectrum. 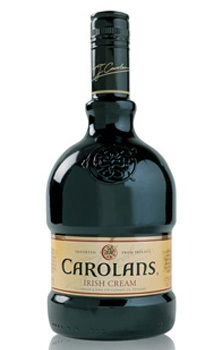 2 Response to "Carolan's Irish Cream"
Nab is back! Now I expect some regular updates. Ugh, I just bought this and find it godawful. So disappointed I didn't spend the extra $8 for Bailey's. The moment I took off the top I knew I'd made a mistake - I was greeted with the cloying, heavy scent of caramel. Caramel? And it got no better with the tasting. Not at all what I equate with Irish cream. It doesn't have the richness or body of Bailey's, nor any of the character. It's not a fraternal twin, it's a cousin. And a poor relation at that. So who is this EngeHenk? Few facts: I'm from the Netherlands, and live near the German border, and besides explore different alcohols, like to play some guitar once in a while. Usually the *reviews* are brands i find in stores near my home, and often those are smaller brands with little or no information about them available, but i also write down more know brands i get my hands on. For more info, just send me a mail using the button below, or directly to liquorists@hotmail.com.